We just greeted the New Year, but Valentine’s Day is just around the corner, and so is Black History Month. So, I thought it would be nice to take a tour of the African American heart shaped flags I have designed. First, we go to ink.flagnation.com and see what INKtastic has to offer. I spend a lot of time talking about their GUND Bears because, well, I just LOVE them. They are cute, soft and adorable. 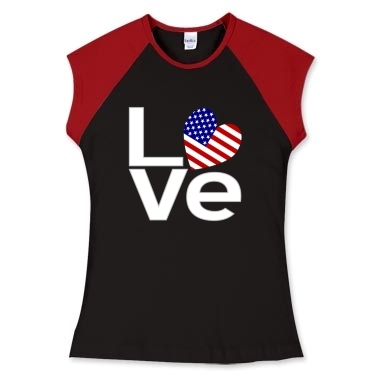 And when you add the funky heart shaped African American Flag, how can you go wrong? Makes a terrific gift for your favorite Black American of any age. Click on the picture to purchase it, or click here. To see all the products with this design from Flags of Nations or Flagnation at INKtastic click here. 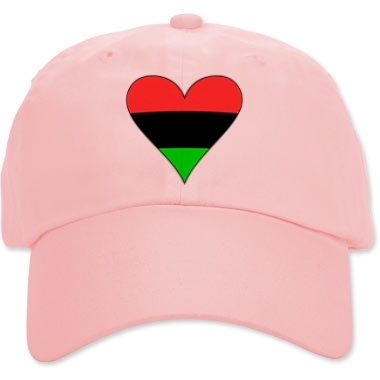 Moving along to Printfection, and my shop at print.flagnation.com, we have a charming pink cap with the funky version of the Flag of the African Diaspora heart. To see all the products with this design in this shop, click here. Next on our list, we visit AmeriYank’s AmeriWear and the section within it that lists designs with the Flag of the African Diaspora. Here, of course, is the African American Heart Flag Valentine in a lovely necklace for your lady. Click on the picture below to buy it for your Valentine. Want a different gift for your Valentine? To see all your choices in this design on a variety of products visit African-American Flag Heart Valentine Black Border or click here. 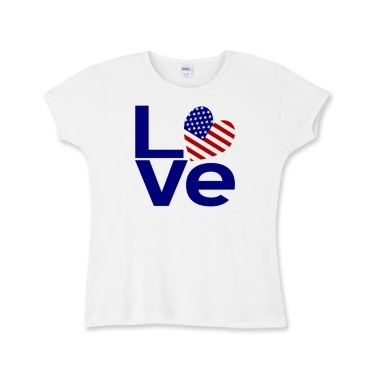 Last, but certainly not least, we visit the Flagnation or Flags of Nations shop at Zazzle. 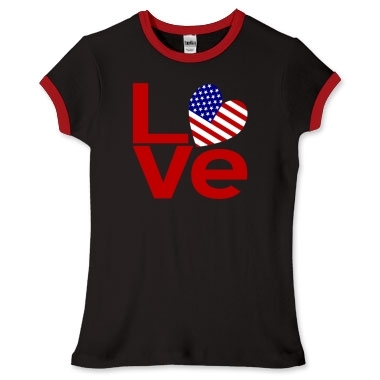 Here you can purchase a lovely T-shirt for your favorite Black American lady, or use the same link to choose another casual clothing item for your favorite baby, infant, man, or child, as there are many styles and colors form which to choose. Please note, the picture above should show a Black female model wearing the shirt. If it does not, it is because something is amiss in a computer way that I have no control over. I chose the Black model because she looked lovely in the tee and was appropriate for the ethnic theme of Black History, but I can’t figure out why it sometimes shows her and sometimes another model. So, I can’t fix it. Please accept my apologies. 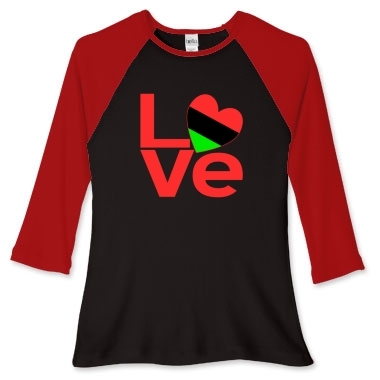 You can see all the products currently available with this design by visiting the African American Flag section of zaz.flagnation.com. I am sure you can find a lovely and appropriate gift for any Black American holiday such as Juneteenth or Kwanzaa, too. Just visit my various shops around the internet and enjoy the designs till you find just the right thing for just the right person.